Forerunner is a fast paced platform game for the iPhone. 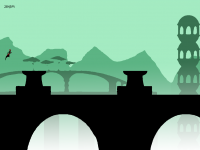 The player must guide a lone runner across five diverse environments, running, jumping and sliding past the many obstacles that lie in the path. The game comes with 6 levels and a run forever mode for free. For 99 cents, players can unlock all 25 levels to the game. 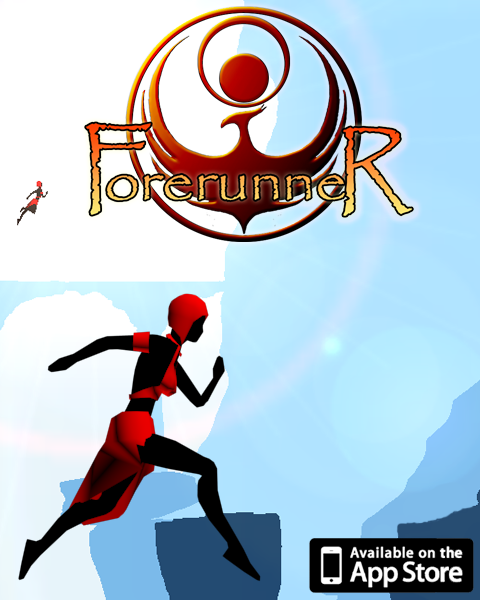 Howdy IndieDBs, Our game, Forerunner, has been on the App Store for about a week now. 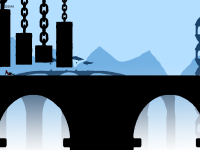 To help promote the game, we placed the Endless Mode up on Kongregate. If you have a minute or two, try it out and see if you can get the top score. In case you don't know, Forerunner is Free to download. If you have an iPhone or iPod Touch, we would appreciate your support. For more info, check out our videos and news posts. Watch the trailer for our first iPhone game, Forerunner. An introduction and video walkthough of the game mechanics featured in Forerunner, coming soon to iPhone. Check it out and let us know what you think. Great game. My teammates hate how much I talk about El Shaddai. I had the art style of the game set before El Shaddai was released, but I'm don't mind having some comparisons to that stunning game. I liked how the different weapons caused different platforming abilities. The graphics remind me of Patapon. That's great! Thanks, we looked at some Patapon when building the game. One of our friends is a big fan. 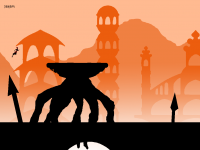 We like the dark foreground look (Patapon, Feist, Outland) but haven't seen it much in mobile games yet. We may try to release on Android in the near future. iPhone is just easier for us to develop on. If the game does well enough for iPhone, we can use the money to fund Android development too. We'll have to buy another license and probably a few different types of Androids to test on. Tax Forms went through! We plan to release next week, maybe Dec 1st. I'll post up a little development journal on the game mechanics later today. Testing on the iPad today. It's looking good. Apple has accepted Forerunner. Unfortunately we are still waiting for tax forms to go through before we put this game out. In the meantime, we have been working on some development journals. We'll be posting them up shortly. Hey you didn't post ... hw is the game going?? Can i get your offical email address? ?